In Xinjiang,the environmental complexity brings on species diversity.The results showed that there are 268 endemic species in 119 genera of 38 families in Xinjiang.They are rather indigent and origin younger but most of them are distributed in mountain system.So we should protect these key endemic species and their sensitive occurring areas.In order to understand and investigate Xinjiang flora's characteristics,origin and evolutive rule,the floristic and ecological characteristics of endemic species are studied in present paper. Plant community coverage was often used as one of factors to describe the structure and importance of plant community.Usually it was estimated by sighting estimation in the field,and this procedure affected the accuracy of measurement of plant community.A useful concept,Foliage Projective Cover (FPC) that means the percentage of the land covered by foliage,was introduced,it had some ecological significances and was suitable for describing horizontal character of plant community.Using simple tool made by us,FPCs were measured at two sites in Xinjiang area.Through ecophysiological model of plant community developed using Stella model tool,we simulated the FPCs at those two sites.Compared with the measured data,we thought that FPC was a useful and an effective method and theory to describe the horizontal structure of plant community in arid area,and it may be used for measuring FPC for all plant communities. YunnanGuizhouGuangxi and some of their neighbouring areas formed a distributional and endemic center of Gesneriaceae during its evolutionary process in China.Among 38 genera and 166 species being bound in Guangxi,there are 5 genera and 81 species belonging to endemism.By comparison of the genera with those of the neighbouring areas,the generic similarity coefficient of Guangxi to Guizhou and Yunnan reaches to 7576% and 7142% respectively,but to the other neighbouring provinces only reaches to a lower rangs from 3548% to 649%.As the taxa require a strict bed rock to live,they distribute in Guangxi unevenly.The individuals of each species are always fewer and present larger interpopulation variation. Henan province locates in a transitional zone betweeen temperate to subtropic region from longitude 110°21′ to 116°39′ E and latitude 31°23′ to 36°22′ N.Its various physical enviroments and long geologic history made it abundant in species with complex floristic elements.The distribution pattern of the species in spermatophyte are studied in this paper.The result demonstrated that the 2953 species distributed in Henan can be divided into 15 areal types and 24 subtypes.Among them 1514 species are endemic to China and account for 5222% of total species in the region and can be divided into 22 subtypes.Except cosmopolitan species,there are 910 species belonging to tropicssubtropics,949 species belonging to typical temperate zone and 920 species belonging to the distribution from temperate zone to subtropics; each about account for 1/3 of the total species in Henan province.So it shows that its floristic characteristics appears transitional from south to north in China. The midmontane humid evergreen broadleaved forest is one of typical vegetation types in the subtropicalmontane vertical zone of Mt.Xiaobaicaoling,and this vegetation type is one of largest area,integrated and valuable in the Baicaoling Nature Reserve too.The evergreen broadleaved forest is dominated by Lithocarpus variolosa.Based on the community structure and component of floristic element analysis of 116 frequent and dominant species in this vegetation type,it can be shown that only those species with the arealtype endemic to China and SinoHimalayan arealtype can occur in all the layers of community,and the Tropical Asiatic elements,SinoHimalayan elements and elements endemic to China are floristically dominant in the forest.Those two points indicate that the flora of Mt.Xiaobaicaoling is belonging to Yunnan Plateau Subregion,Yunnan Plateau Region,SinoHimalayan Forest Subkindom,East Aisa Kingdom (IIIE13a).Floristically,the elements endemic to China are those species distributed mainly in the region of Mt.Xiaobaicaoling and the adjacent regions (including NW Yunnan,Sichuan,Guizhou and Tibet),and the socalled adjacent regions are mainly belong to the Hengduan Region in regionalization of China.So it can be shown that the floristics of Mt.Xiaobaicaoling is relatively in nature close to that of Hengduan Region.On the basis of the comparison of the same vegetation type from Mt.Xiaobaicaoling and adjacent regions,it can be shown that this vegetation type od Mt.Xiaobaicaoling is with higher altitude and drier habitat than others due to the more northern location of Mt.Xiaobaicaoling in Yunnan Plateau and reflects the effect of the microclimate in the Valley of Jinshajiang (the upper Yangtze River). 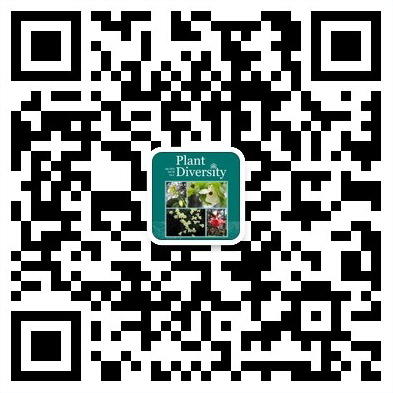 In the present paper a comparison of family circumscription between Flora Reipublicae Popularis Sinicae (FRPS) adopted A.Engler's classification system of angiosperms (1936) and The Families and Genera of Angiosperms in China,A Comperehensive Analysis (FGAC) based on Wu et al. 's system (2002) is given.It is not only benefit to grasping the viewpoint from Wu et al.s' system but also of adventage to understanding of current trend in limitation of family in angiosperm systematics. 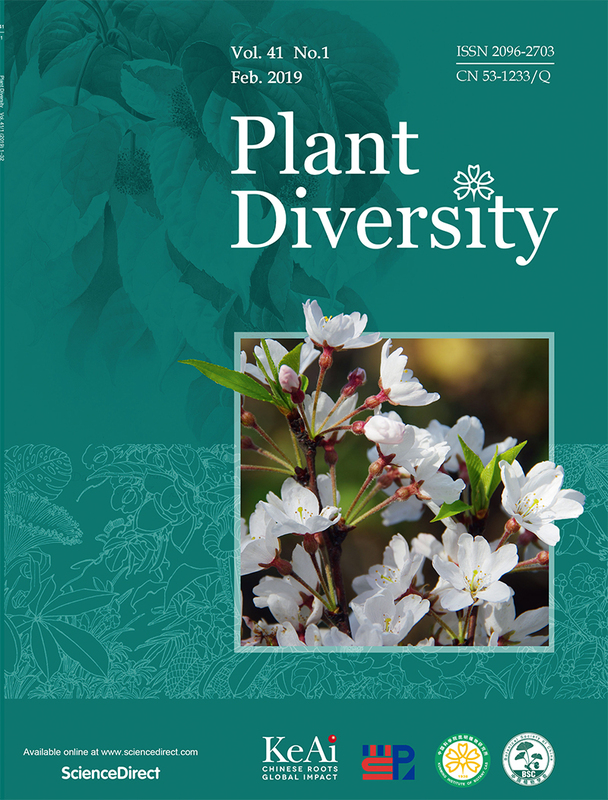 Based on the analysis and understanding of all the available research references on the classification of Magnoliaceae and combined with the results of the chemical compound study of the family,this paper has proposed a new generic division system of the Chinese Magnoliaceae into 3 genera,2 subgenera and 17 sections under 2 subfamilies. Tibetan medicine system has a long history manifested by its many ancient literatures,with comprehensive theory about cosmos,environments,diseases and medicines.Today more and more people realize the disadvantages of the modernization and give great attention to the study of traditional culture.Tibetan medicine is one of the present research hotspot.Since 1995,many literatures about Tibetan medicine have been published every year,but no statistic and analysis has been undertaken about these literatures written in Chinese.Based on 14 monographs and 543 literatures collected,the authors classify them on different special subject.By discussing and analyzing the results,the authors found a clear trend in terms of the study of Tibetan medicine,that is,from the investigation and documentation of resource,to histological phytochemistry,pharmacological and clinical studies.Moreover,the authors also suggest that more participations of local Tibetan scholars,and more interdisciplinary works on Tibetan medicine researches. The Ethnobotanical Information Bank is an integrated,stable,serial by time and space database set,which records the information data,property data and multimedia data based on time and space that comes from the description phase and the explanation phase of ethnobotanical study in graphics context,and can be used for data processing and analysis,and decision making based on specific subjects.The ethnobotanical information bank can be created with the development of modern information technology (IT).The need for a coordinated information bank is important to the preservation of ethnobotanical information. Although there are presently many databases they are not easy to use at the application stage.This paper provides a detailed description on the methodology,structure and contents to design an information bank,and the steps to set up an information bank,using an ethnomedical information bank as an example.It is suggested that the ethnobotanical information bank should be developed using modern information technology,constructed and shared by local people,governmental officials and researchers through WWW techniques,and serving different applications,subjects,queries,consultation and decisionmaking by clients.Finally,the paper discusses the importance of the ethnobotanical information bank and the challenges of setting up the ethnobotanical information bank. To build up a quantitative evaluation method of their potential values based on information of folk usage and knowledge of medicinal plants used by ethnic groups and folk healers.Improved scoring and ranking method has been used.8 medicinal plants used by Lahu healers have high potentialities for further studies.The method and its result are meaningful for evaluating potential values of folk medicinal plants. Traditional knowledge on use of dye plants used among local population is of great value for human society today.Based on ethnobotanical approaches,the present paper discusses the methods to study traditional dye plants used by the local people,and analyzes the importance of plant dyestuff and pigment in local people's livelihood and culture.Some recent research status in traditional dye plants and scope of traditional knowledge on the dyeplants were summarized in this paper.Moreover,the paper suggests further studies on traditional dye plants.